Although it may not be the most popular destination worldwide, the Julian Alps offer some of the most spectacular views in Europe. Stretching all the way from Italy to Slovenia, the mountain range is a great destination. 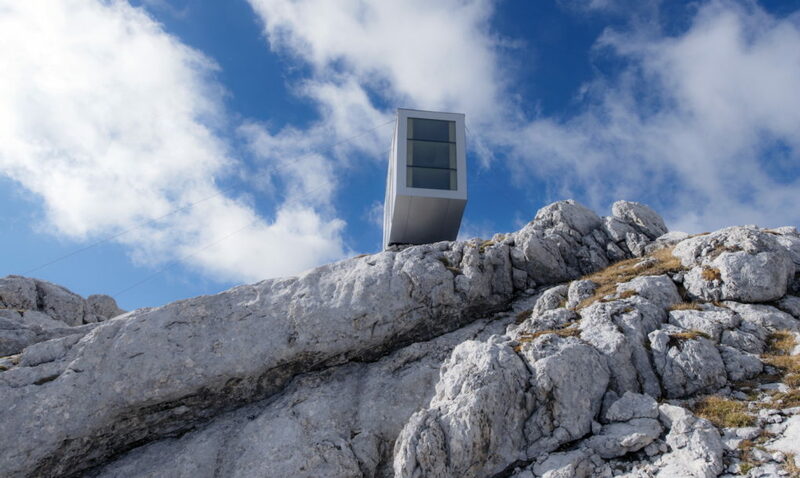 Those, who get to climb on Mount Kanin have an extraordinary experience: access to one of the most stunning cabins ever built on a mountain. The first thing, that comes to mind when hearing a word “cabin” is a feelings of safety and relaxation. 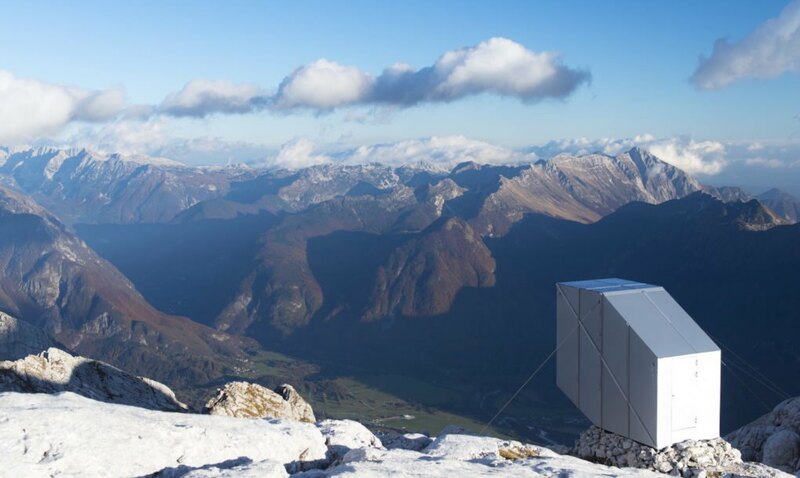 However, the Kanin Winter Cabin keeps visitors on the edge. 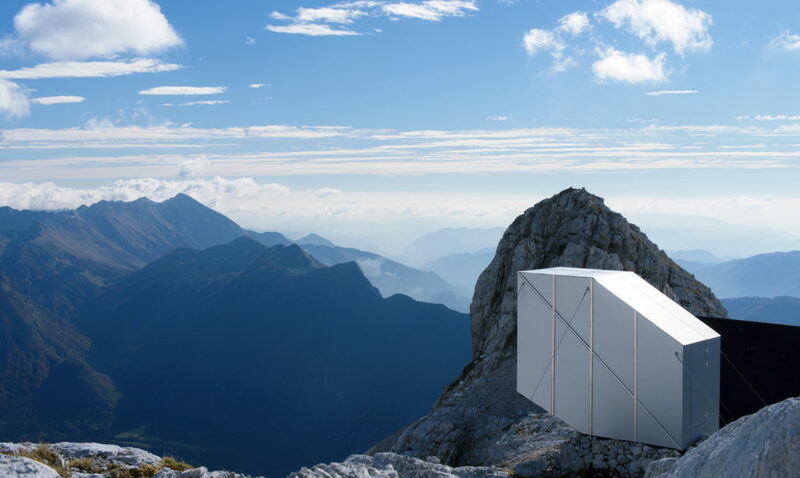 This modern landmark is far from a usual cabin. 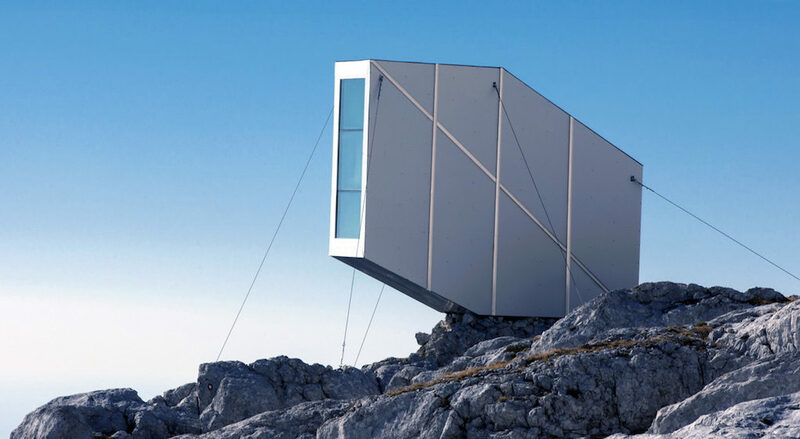 While approaching the mountain peak, you can easily notice the seemingly levitating construction anchored into the highest cliff. The only way to reach the location is by climbing. So, visitors must be in a good physical shape. 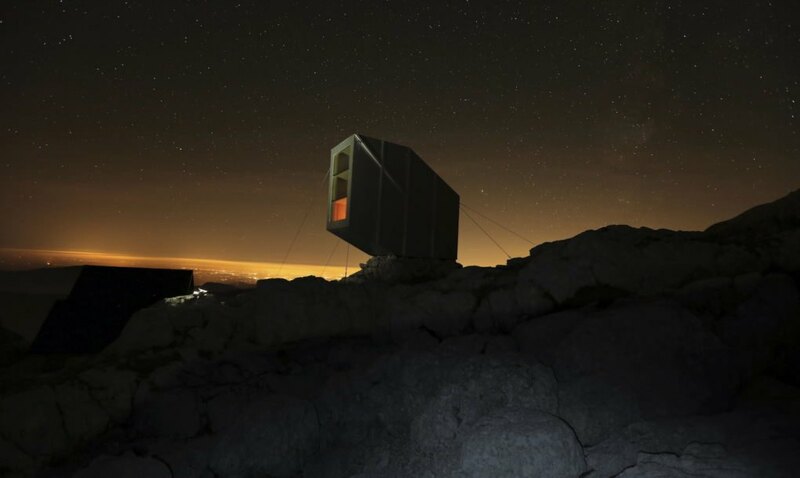 Usually, building a cabin at such high altitudes, landforms and harsh weather conditions is nearly impossible. 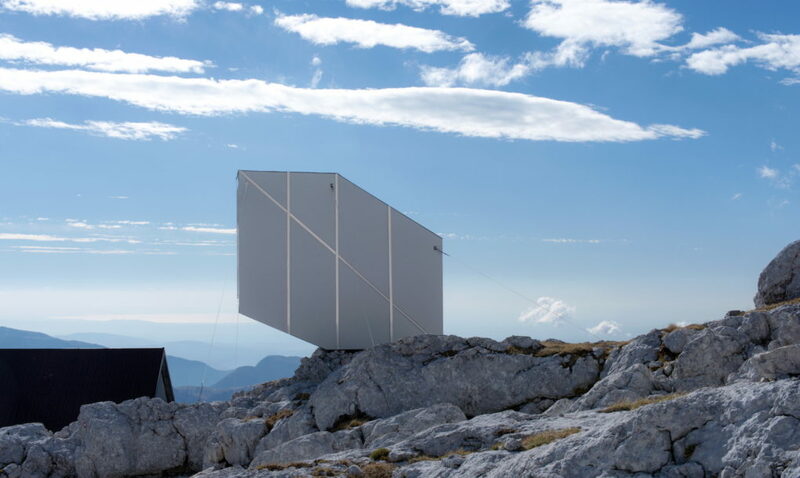 In fact, this masterpiece was assembled offsite and was carried by a helicopter to Mount Kanin, where it was finally set up on the cliff. But, don’t let cabin’s appearance fool you. 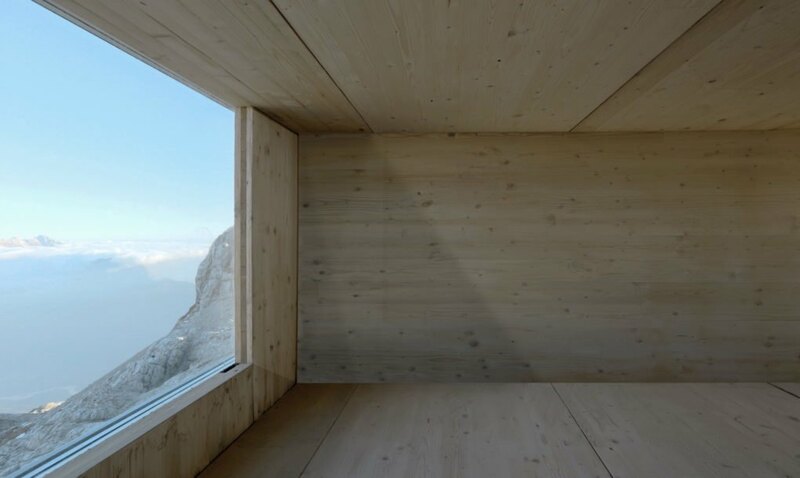 The timber interior and thick glass walls were designed to withstand freezing temperatures, heavy rainstorms and even avalanches. The minimalist interior of the site proves, that simplicity may be the key of beauty. 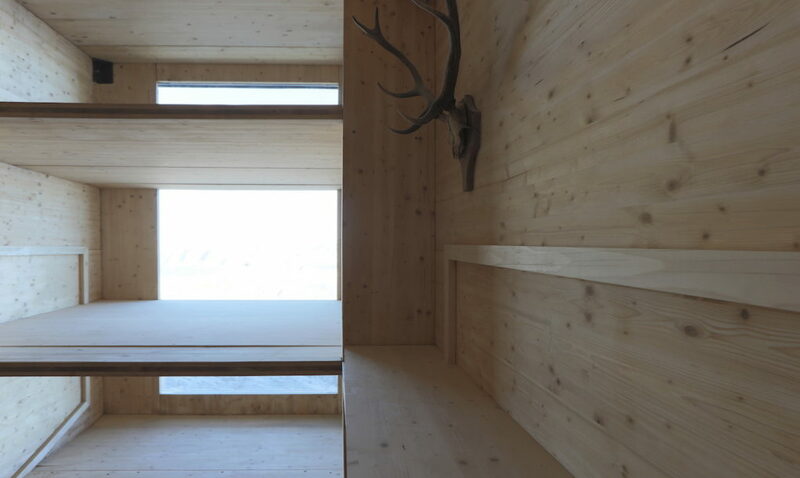 The cabin is divided in three areas: an entrance, a living room and a resting area. In the rear of the building, there is a sleeping room. The interior is great, but the view from the inside the cabin is what attracts climbing enthusiasts. 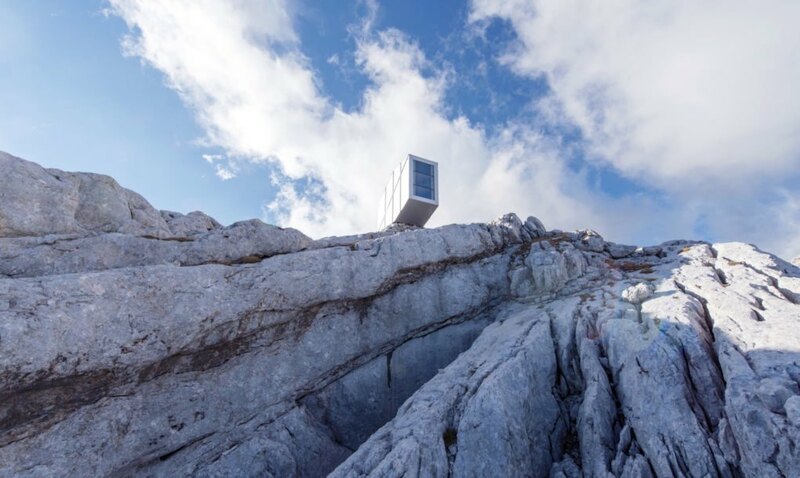 The large walls offer a stunning view of beautiful Triglav and the Soca Valley. If the weather is kind enough, visitors can also get a very good look at the Adriatic Sea, which creates a complete picture of nature’s unique creation. 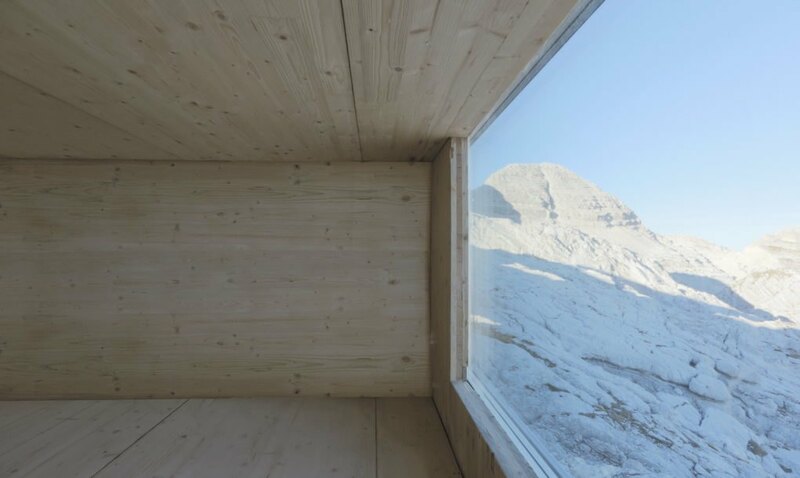 The structure of the Kanin Winter Cabin allows accomodation for up to 9 people and lets plenty of natural light in. The project was brought to reality through donations and volunteering. Although there’s a long way up to Mount Kanin, this stopping point is well worth it. 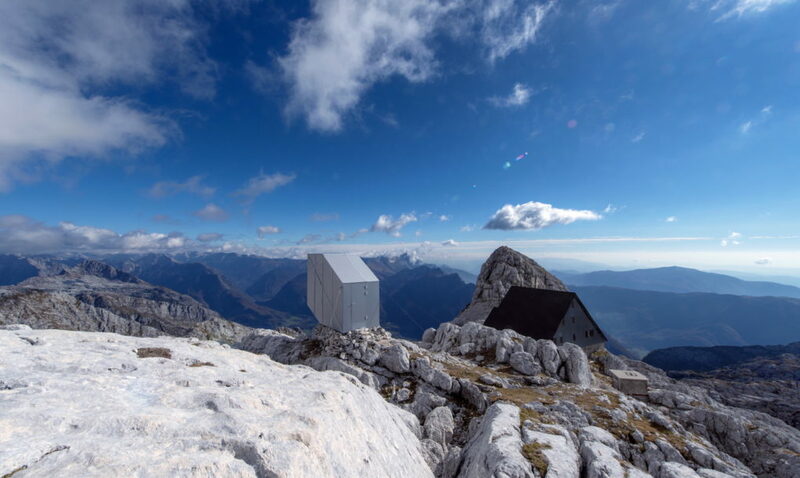 Kanin shelter is administered by a mountaineers association from Bovec, but to access the shelter, there is a certain place to pick the keys, the info is on this website.